The County Prep FCCLA delegation attended the Fall conference at the Pines Manor in Edison NJ. The conference was attended by 740 members from schools throughout New Jersey, announced Ms. Barbara Mendolla, Principal of County Prep High School. The Cupcake Challenge Competitive Event is a State Event conducted at the NJ FCCLA Fall Leadership Connection. It is a team event that encourages members to create an original cupcake recipe from scratch that incorporates an herb as an ingredient. The members must make a minimum of 5 dozen cupcakes that will be sold at the NJ FCCLA Fall Leadership Connection to raise money for the National Outreach Project, Share Our Strength. The cupcakes are evaluated on the taste, texture, appearance, and creativity as well as the efficiency and creativity of the display. 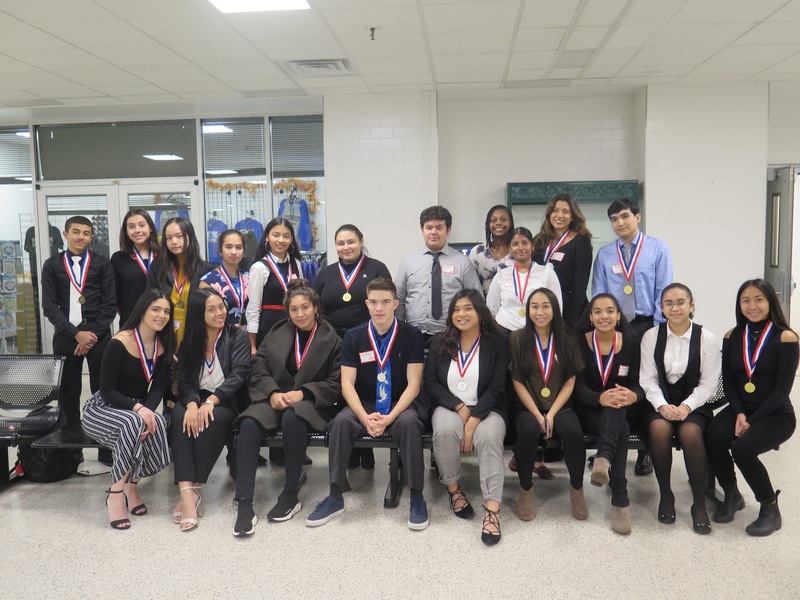 The team of Zinab Ennasri and Valeria Roasdo won 1st place Gold followed by the team of Antonios Azmy, Nisha Purino, and Giovanna Mezzasalma winning 2nd place Gold. 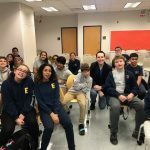 Tune Into FCCLA (Video Production)The Tune Into FCCLA Competitive Event is a State Event conducted at the NJ FCCLA Fall Leadership Connection. It is designed to energize our technically gifted and creative members. Tune Into FCCLA is a team event that allows participants to develop an FCCLA marketing project using a public service announcement video to raise awareness about the negative effects of tobacco and e-cigarette use. 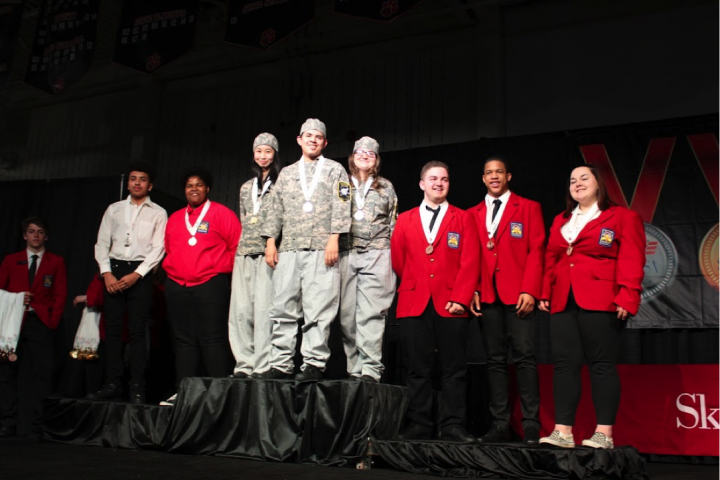 We would like to recognize the team of Bryan Casana and Xylissa Fuentes for being awarded the 1st place Gold medal and Shaun Crafton and Can Sark the 2nd place Silver medal. The Go Green Competitive Event is a team event in which students work to create an effective, attractive, and unique item that can be used to enhance the home or work environment. At the 2018 Fall Leadership Connection, this event focused on an environmentally friendly Desk Organizer. The project had to be artistic in nature and employ principles and elements of design. The design had to be a realistic approach, but exhibit creativity and eye appeal. 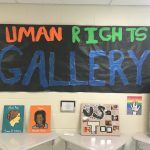 The project demonstrated the ability to use Recycled/Repurposed/Reclaimed items, Sustainable and Renewable resources in a creative and responsible manner. 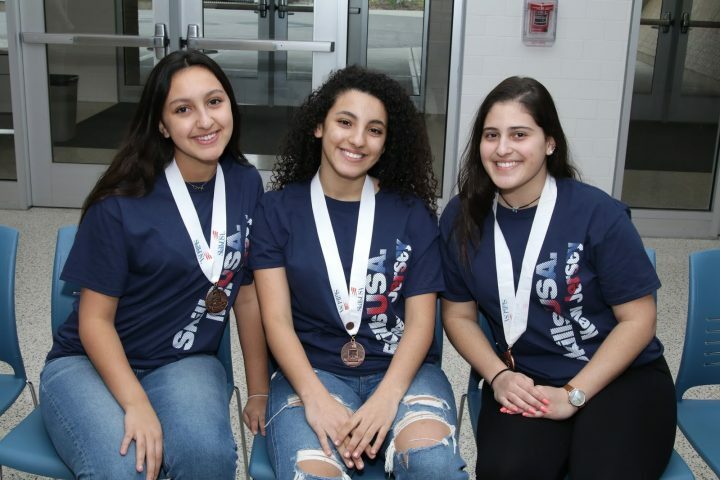 The teams of County Prep won 1st,2nd and 3rd place Gold medals in this category .The team of Gennalyn Orencia, Emily Adams, and Kelly Maldonado won 1st place Gold achieving a PERFECT score! Roxanne Lipa and LeeAnh Hoang were 2nd place Gold and Jessica Massa and Anjoli Armogan won 3rd place Gold. 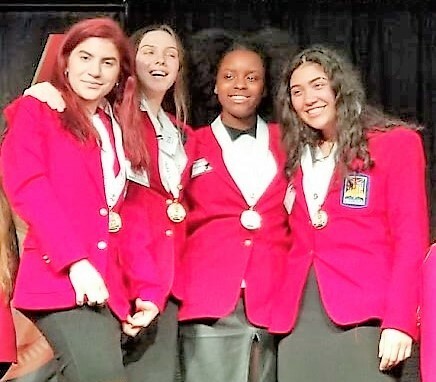 The Passion for Fashion Design Challenge Competitive Event is a State Event conducted at the NJ FCCLA Fall Leadership Connection. It is an individual event that allows participants to exhibit fashion design, creativity, and construction by creating doll clothes. Each participant designs and drafts a pattern and constructs an original doll-sized garment for either a twelve or an eighteen inch doll. This event is a perfect example of how art and academics are combined in real world situations. Alexa Acuna, Esmeralda Garcia and Lilian Nguyen won 1st, 2nd, and 3rd place gold medals respectively. Alexa and Esmeralda were awarded a two-day summer workshop at Berkeley College in NYC. Ms. Mendolla, Mrs. Patten, Mrs. Martinez, Chef Palsi, Chef Delesky and Ms. Jullian Mulrain congratulate the students on a job well done.